HP Probook 640 14" Best Rated HP Laptop Core i3-4000M 2.40 GHz 4GB RAM 500GB HDD. HP 14-inch ProBook Notebook - Take on tasks in the office or on the road with a durable HP ProBook 640. These ProBooks are thin, light and packed with productivity features to make work faster and easier. Plus, reliable security solutions keep your data out of the wrong hands. Get the technology you trust from HP, with cutting-edge style that looks and feels the way you want. Join forces with the latest generation technology and legacy features your business demands on a new thinner HP ProBook for in the office or on the go. Protect existing IT investments with support for existing legacy features such as an optical drive, optional serial ports, VGA and RJ45 connectors. Enjoy a desktop experience on your ProBook with various docking options including HP 120W Advanced Docking Station and HP 90W Docking Station. Take advantage of the wide range of features and configurable options on the new HP ProBook 600 Series. Configure a ProBook made for your business thanks to flexible architecture configurations including the latest Intel 4th generation processors. optimized for communication with Microsoft Lync, premium audio/video and HD display. Protect data, devices and identities with HP Client Security and use HP Trust Circles to make sure only assigned contacts can access critical files. Keep sensitive information in safe hands. 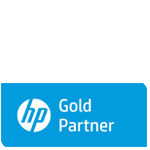 HP Trust Circles protects your data by ensuring that only approved contacts can access critical files. Stay up and running. HP BIOS Protection offers enhanced protection against virus attacks to the BIOS and other security threats, and is designed to help prevent data loss and reduce downtime.